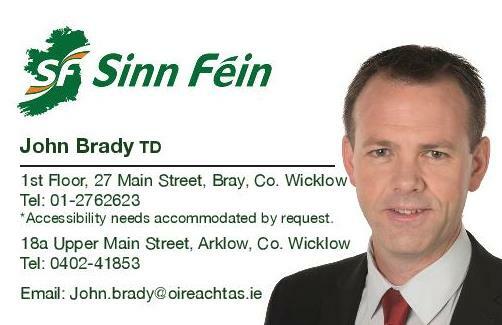 Sinn Féin spokesperson for Social Protection John Brady TD has said when it comes to protecting workers’ pensions, Minister Varadkar does not want to know. Deputy Brady was speaking last night during Fianna Fáil’s Private Members Business on the need to tackle the issues around defined benefit pension schemes. “Last week, Sinn Féin launched a Bill to ensure that no company with positive net revenues or which has a parent company with positive net revenues would be allowed to close a defined benefit scheme unless this scheme has reached a minimum 90% funding standard. “Our Bill would prevent a similar situation to what happened last November in Independent News & Media. This would send a clear message to profitable companies that you will not be allowed to simply decide to renege on and walk away from your obligations to your employees. “Minister Leo Varadkar’s excuse for doing nothing to protect employees is for fear of ‘threatening a company’s financial stability’ or ‘rendering some employers insolvent’. However, we are talking about companies who are profitable and therefore, the Minister’s argument makes no sense. “The Minister’s rhetoric of his Department scrutinising issues around defined benefit pension schemes is achieving nothing and this is not good enough for workers in this State. “The inaction by Government sends out a message to companies right across this State that they are free to consciously wind down defined benefit schemes and walk away from their pension obligations. Sinn Féin absolutely oppose this.